Memorials of enduring granite are symbolic of life, family and faith. They preserve our heritage for future generations. We clean and repair monuments. 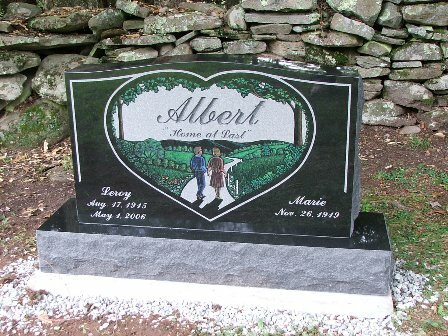 We can also mail small granite memorials to you in the US. Please call or email us anytime, weekdays or weekends. Copyright 2012 Cemetery Memorial Service. All rights reserved.